In 1998, US President Bill Clinton signed into law, a controversial bill that plans to keep icon works out of the public domain. By adding a twenty year extension to these pieces many of the great works from the 20th century can’t be recreated, reproduced, or re-invented without prior written permission of the one who holds the copyright. Unlike works from Dickens, Shakespeare, and Beethoven, iconic characters such as Bugs Bunny and Mickey Mouse are not public domain figures. That means, in theory, you can’t even post a picture of the famed mouse online without getting permission to do so from Disney. In five years this law will come to an end, paving the way for these figures to be used in the public domain just like their predecessors. However, the holders of the copyrights and other proponents of the law are ready to petition Congress to once again offer a twenty year extension of the copyright. What does that mean for the consumers? You won’t likely see a remake of Steamboat Willie anytime soon unless Disney is in charge of the remake. By definition the copyrights for all of the affected works should have expired between the late 1970’s and late 1990’s had it not been for the Sonny Bono Copyright Extension Law. Copyright terms have been amended in the past, changing from the original 28 years, doubling to a term of 56 years, and finally going to the current standard of the lifetime of the creator plus 70 years. Opponents of the extension claim that the current copyright laws are enough to ensure that the work isn’t stolen and provide the families of the copyright holders’ protection. These opponents see the extension as a way to create a monopoly on these figures and continue to receive revenue from the works. What makes the copyright extension so difficult for consumers? 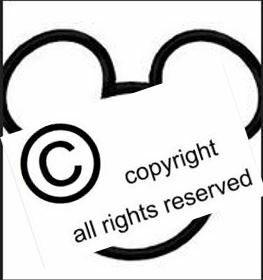 Should it really matter if Disney keeps Mickey out of the realm of public domain, after all he is their character? The problem really is an issue for works of music and books. Some of these retroactive copyrights are considered orphaned works. This means that the copyright holders are unknown and the creator of the work is long since passed. These works can’t be reproduced for today’s masses because no one knows who to negotiate reproduction rights with, cause many works to be lost. Will Mickey, Bugs, and the gang be part of the public domain soon? There is no way to tell. Big companies like Warner Brothers and Disney may well lobby to keep their works under copyright just a little longer.